Most people are shocked when they find out the cost of making yourself bankrupt. Sadly there's no such thing as "going bankrupt for free". This guide shows you how much you have to pay and when. The cost to go bankrupt in the UK actually depends on where you live. We'll show you how to get help if you can't afford the fees to go bankrupt. The cost to go bankrupt varies throughout the UK. So the total cost to go bankrupt in England and Wales is £680. Can you get help with bankruptcy fees? Use our Free Online Bankruptcy Check to see what help you can get. The good news is that this can now be paid in installments, the minimum installment is £5. This means you don't have to pay all you bankruptcy fees at one, you can pay a bit at a time, using the time it takes to save up the fees to enter all the details on the system. However you can not submit your application until the fees have been paid in full. You can also authorise someone else to pay you bankruptcy fees for you. If you are on a low income or get benefits, and your debts are less than £20,000 then you should check if you can get a debt relief order (DRO for short). If you qualify for a DRO is it only costs £90 to apply. 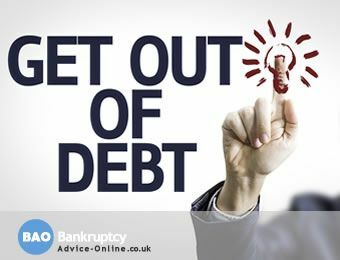 Going bankrupt in Scotland has a different process to the rest of the UK, you can read our full guide on how to go bankrupt in Scotland here. If you are getting means-tested benefits such as JSA, ESA or Pension Credit, you used to be able to fill in a form ex160 to get the bankruptcy court fee waived, however since 06 April 2016 this has been removed. If you're struggling to raise the fee and deposit you need, a charity or trust fund may be able to help. Many of the utility companies run trust funds that help customers with utility debts and other financial problems, including paying bankruptcy fees. The team at Bankruptcy Advice Online can quickly advise you if you qualify for help with your bankruptcy fees. Just call free on 0800 368 8133 or click the "check now" button below. How much does a "joint bankruptcy" cost? 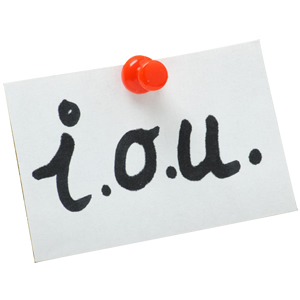 If you are a married couple and you are both applying for bankruptcy, you will each have to pay separate fees. There is no such thing as a "joint bankruptcy" for personal debts. From 6 April 2016 you will apply to go bankrupt online, and you will also be able to pay your bankruptcy fees online.